Any pharmacy can dispense and deliver medication, we take it a step further. Guardian Pharmacy of Anaheim is a long-term care pharmacy provider, offering customized services that meet the needs of each individual community we serve. 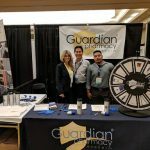 Formerly Anaheim Plaza Pharmacy, we are now a proud member of one of the largest pharmacy providers in the country, Guardian Pharmacy Services. Through Guardian’s unique business model, we’re able to provide the personal services you would expect from your neighborhood pharmacy along with the strength and resources of a national pharmacy organization. As a part of the Guardian Pharmacy Services family, we’ve found a better way to deliver the services you require. 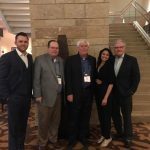 Our unique business model allows us to offer the personal attention of a local pharmacy paired with the resources of a large corporation. We are committed to understanding you and your community and provide the customized, personal services necessary to make a difference. At Guardian Pharmacy of Anaheim, we take care of you and your pharmacy needs so you can take care of your residents.